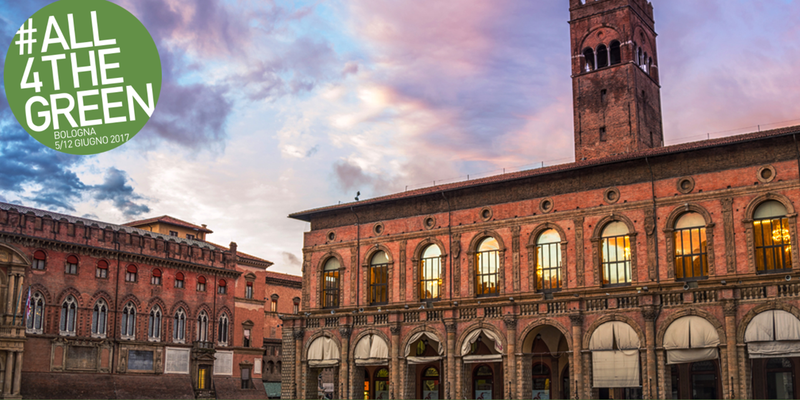 Bologna is about to become the capital of the Environment with #All4TheGreen: over 70 events will be open to the public from June 5 to 12. This series of activities will pave the way to the Environment Ministerial Meeting, scheduled for June 11-12. The entire city -- institutions, universities and businesses -- will be involved over the week, in events dedicated to the protection of the environment, to sustainable development and to the circular economy. At the official presentation of the event, the Italian Minister of the Environment Gian Luca Galletti, announced: "The G7 Environment Ministerial Meeting will address many important issues and consider the next steps to be taken. What must be clear is that the decision-making process involves everyone: institutions and large companies, environmental organizations and universities. All of these and more chose to join #All4TheGreen for a common purpose: the protection of the environment can also leverage new economic growth." #ALL4THEGREEN includes various activities and projects, and is supported by the World Bank's global partnership program Connect4Climate, with the support of the Ministry of the Environment and under the auspices of the Italian G7 Presidency.